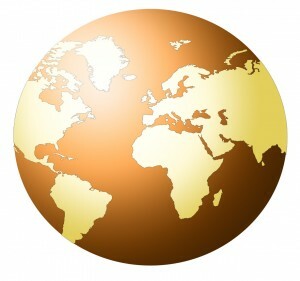 Founded in 1979, the Behar Law Group (BLG) provides multi-faceted legal services to the growing international community. Located in downtown Fort Lauderdale, Florida, with multilingual capacities in English, French, Spanish, and Chinese, the firm is able to cater to a wide array of clientele, primarily dealing with complex issues in immigration. In order to meet the needs of a diverse client base from around the world, the Behar Law Group (BLG) employs the services of interpreters in every language. Since the inception of the EB-5 program in 1990, BLG has been involved in and has supported the benefits which EB-5 has to offer whilst becoming a key player in the field. Currently, the firm represents or is in the process of representing more than a dozen regional centers across the United States and their prospective investors alike. Legal Services for EB-5 Immigrant Investors, legal, securities, economic planning, financial director, marketing, CPAs, business consultants, and bankers. Together, the team combines their abilities to develop and deliver the highest caliber of work product and team effort to ensure a successful outcome time and time again. Upon receiving the regional center approval, issued by USCIS, the BLG works to provide exclusive visa processing services on behalf of the immigrant investors. Thanks to their vast experience in immigration law and the benefits provided by EB-5 regional centers, Larry J. Behar and his team have had tremendous success obtaining permanent residency on behalf of EB-5 immigrant investors. Moreover, the firm continues to provide comprehensive immigration services to immigrant investors beyond the visa application process. To contact us about the creation of a regional center or other vital immigration service’s, please call us at: 954-524-8888 (or toll free at: 800-700-visa).